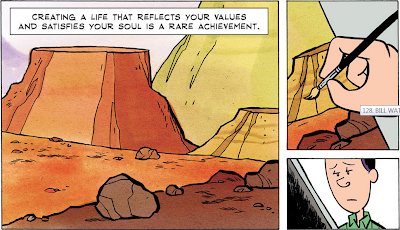 ZenPencils shared a very inspiring and encouraging comic strip by Bill Watterson, the creator of the infamous comics Calvin and Hobbes. While I have not read his other works, this is a very well made strip. Click on the following preview to visit the page! The first page of the strip.